Big Sagebrush (Artemisia Tridentata) other names : Big Sagebrush , Basin Sagebrush , Common Sagebrush. Big sagebrush is a timbered herb that is evergreen and grows up to a height of two feet to 10 feet. The big sagebrush has a thick, branched trunk having a gray-greenish bark that flakes as the shrub matures, and is crowned by a smooth coronet. The herb bears leaves resembling wedges that are approximately one inch in length. The leaves of big sagebrush are jagged at the tip and are enveloped by silver colored gray bristles that preserve moisture. 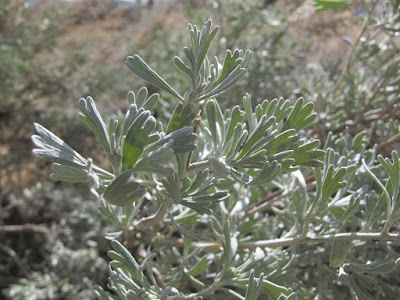 The leaves of big sagebrush release a pleasing pungent aroma. Big sagebrush produces diminutive flowers having whitish heads. Big sagebrush bears flowers during the September-October period and they appear in dense clusters at the tip of the small branches/ twigs. Since the ancient period, Indians in the West used this woody shrub that belongs to the same therapeutically significant genus of plants as the European absinthe, tarragon and mugwort. In those days, the native Indians in the West chewed the leaves of the herb to provide relief from stomach gas or flatulence and also prepared a tea with the big sagebrush to cure different stomach problems and also colds and painful eyes. When the European settlers came to the region, they also adopted a number of the indigenous uses of the herb and also contributed some of their own. 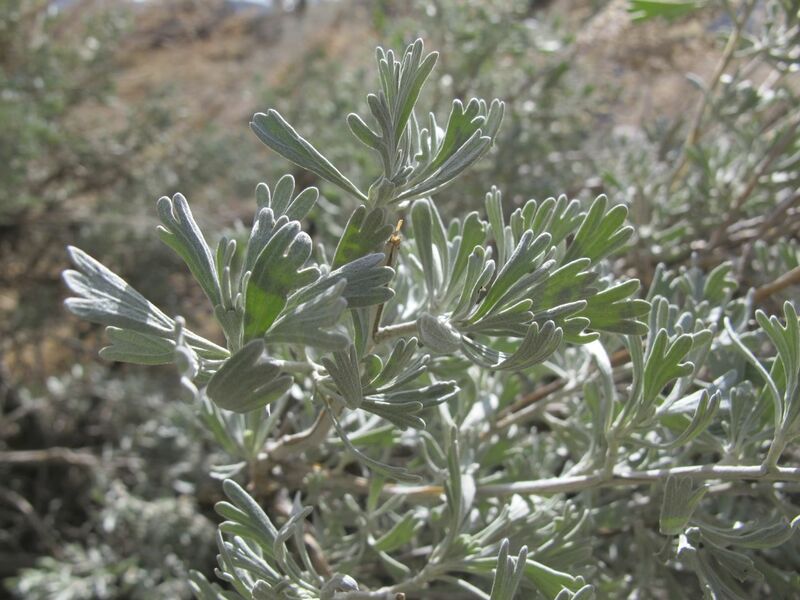 Big sagebrush preparations were used to cure headache, sore throat, diarrhea, vomiting and even bullet injuries. A number of Indians in the Southwest pounded the seeds of big sagebrush for flour and several more set great store by a sort of hair tonic to make fragrant with big sagebrush. On the other hand, pioneers usually used the rapidly-growing shrub for kindling. The leaves of big sagebrush are also excellent fodder for livestock and the nutritional value contained by them is comparable to alfalfa. Nevertheless, the big sagebrush leaves also enclose oils that are toxic to the symbiotic bacteria (bacteria living in synergy with another organism or each other) in the rumen (the first chamber of an animal's stomach) of majority of ruminants (hoofed animals that chew curds). The oils extracted from the big sagebrush leaves are known to have maximum impact on cattle. It may be noted that cattle that turn to sagebrush for survival when fodder becomes scarce during the winter, usually freeze to death prior to going hungry as to a large extent they depend on the heat of their digestive action for the warmth necessary to keep them alive. According to ranchers, this condition is known as ‘hollow bell'. However, it may be noted that sheep have the ability to stomach reasonable amounts of big sagebrush leaves, particularly the fresh buds available during spring. In fact, pronghorns, a ruminant resembling antelope, are known to be the only large herbivore that has the aptitude to browse through big sagebrush at length. Since pronghorns are the sole remaining large herbivores that have progressed along with big sagebrush (deer is a latest arrival from Asia), this is not unexpected. It is speculated that a number of the herbivores that became extinct in North America during the closing stages of the Pleistocene (the epoch forming the previous half of the Quaternary Period), for instance, the American Camel or the Ground Sloth, were also able to browse big sagebrush. Big sagebrush is among the most extensively distributed indigenous plants in the western regions of America. In addition, big sagebrush is also found growing in British Columbia southwards to Mexico as well as to the Dakotas in the east. In order to grow and flourish well, big sagebrush needs to be cultivated in a sun-drenched and adequately drained soil that needs not be very rich in nutritional content. This woody shrub also needs a soil that is free of lime. In fact, there are some of the sub-species found growing in diverse habitats ranging from deep fertile soils to inferior shallow soils. When the plants grow in a poor dry soil, they live for longer periods, are very hardy and more aromatic. Big sagebrush plants that are already well established have the aptitude to tolerate drought. Although big sagebrush is able to endure temperatures as low as -5°C to -10°C, when grown in colder climatic regions plants of this species are not sufficiently hardy. 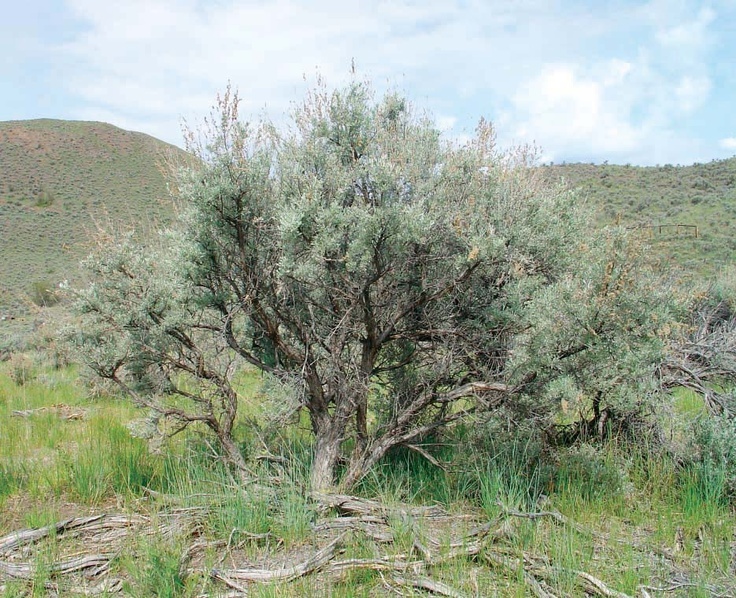 Although it is a part of traditional medicine, big sagebrush is seldom used for medicinal purposes. In effect, big sagebrush encloses an unsteady or volatile oil that may be added in the form of an aromatic to liqueurs as well as hair rinses. In addition, the oil extracted from big sagebrush is also used as a repellent for bugs. 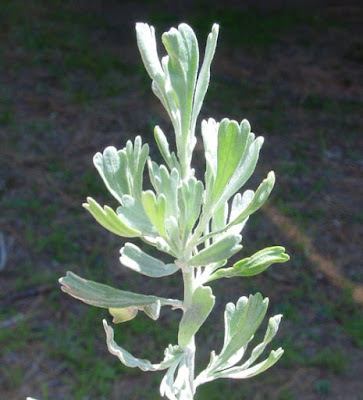 Big sagebrush is known to cause extreme allergic reaction in humans and may even result in dermatitis if big sagebrush is topically applied to the skin of sensitive people. On the other hand, the volatile oils enclosed by this herb are metabolized in the liver to form toxic compounds that have the potential to cause internal blood clotting. In addition, big sagebrush may also result in the formation of micro-thrombi in the digestive tract and the liver. The indigenous people of the North America traditionally used the big sagebrush internally as a medication to stop internal hemorrhage that may be a result of childbirth or wounds sustained during a battle. The big sagebrush plant is also poisonous for parasites inside the body and, hence, big sagebrush was also used to get rid of worms. As aforementioned, the oils extracted from the plant are noxious to the liver as well as the digestive system of the humans when they are taken internally. However, usually, the toxic symptoms of the big sagebrush sink within 24 hours to 48 hours of ingesting the plant. Native Americans inhabiting the Mountain West in North America also used an herbal tea prepared from big sagebrush which was earlier used internally and also as an external dressing to cure infections. In the ancient times, parts of the big sagebrush plant were also woven to make footwear. An infusion prepared with the big sagebrush leaves is still used as a hair rinse and big sagebrush is known to cure dandruff as well as falling hair. The infusion of big sagebrush is also said to work as a disinfectant and, hence, it is used for washing walls, floor and so on. The leaves, buds and stems of big sagebrush together also yield a dye whose color varies from yellow to gold. The bark of the bush is fibrous and, hence, is excellent for weaving mats, basket and even clothes. Some people also use the dried fibrous bark of the plant as a stuffing material in pillows and such objects. In addition, the fibrous bark of big sagebrush is also used in the form of insulation in shoes to keep the feet warm. On the other hand, the fiber obtained from the inner bark of the sagebrush shrub is used for manufacturing paper. The fibre of this herb is usually 1.3 mm in length. The stems of big sagebrush are usually harvested in the later part of summer, while the leaves are collected and the stems are steamed till the fiber can be stripped off. Subsequently, the fiber is cooked for as many as two hours with lye (a potent chemical cleaner) prior to ball milling for another four hours. The resulting product is the paper having a pale tan or golden color. Interestingly enough, the Native Americans also used the stems of big sagebrush as a broom. They tie a bunch of leafy stems together for this purpose. They also used the stems effectively as friction sticks for making fires. In addition, the shredded bark of the shrub is excellent tinder for starting fires. The seeds of big sagebrush are used during festivities, as when they are thrown in a fire, they burst out akin to crackers. The wood of big sagebrush shrubs is tough and dense and it burns very quickly and well, even when it is not dried, and possesses a fragrant smell.